Designed with the spirit of the forest in mind, this Woodland Warrior Double Sided Sword Frog holds your LARP blade securely on either hip. 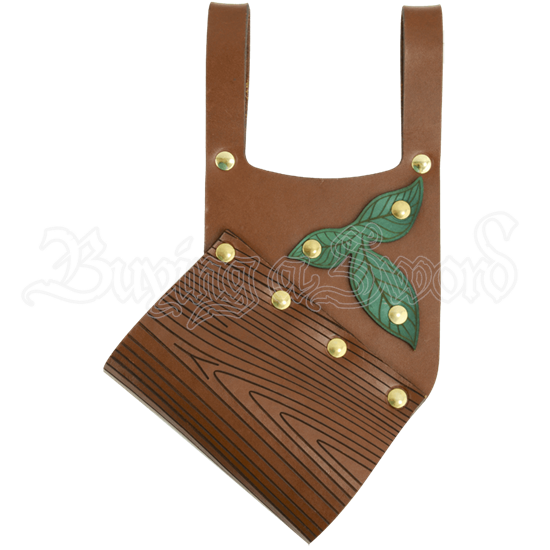 This reversible leather frog is perfect for rangers as well as elves and other fae folk. 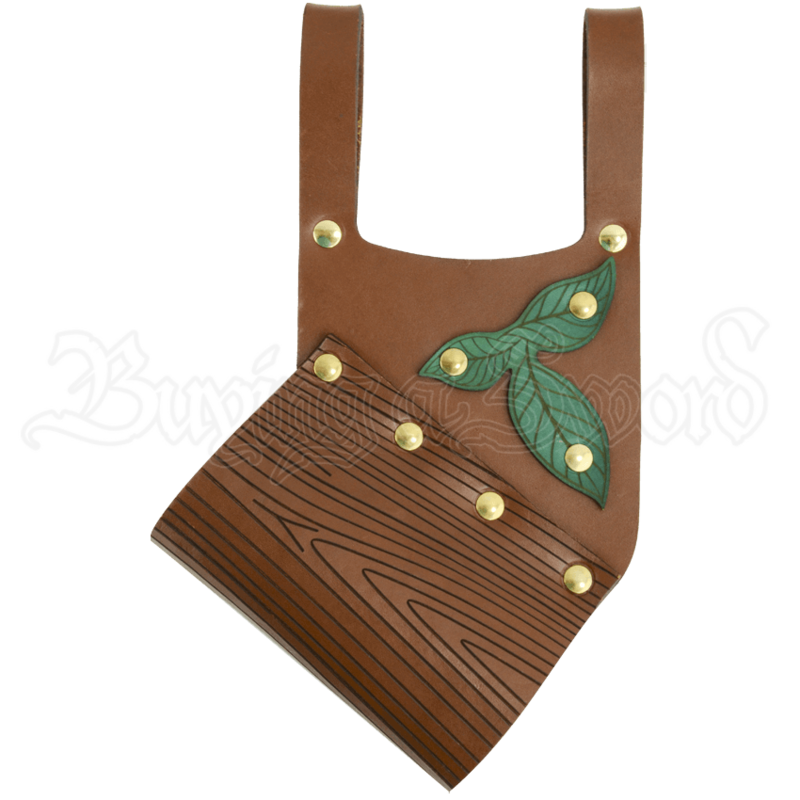 A versatile piece that fits most LARP blades with ease, the medium brown tube is engraved to look like tree bark and the hanger is decorated with a green leaf sprig. Wear it on your left hip for a right handed draw, or turn it around and wear it on your right hip for a left handed draw. This hand crafted sword frog is made from durable 8/9 ounce leather and finished with brass hardware in our shop. The silvan look of this Woodland Warrior Double Sided Sword Frog will complement any nature based LARP fighter kit.